The Vibescout online platform provides multiple listings of movies showing across the country. Streaming movies online as well as video-on-demand services may seem like major threats to traditional cinema, but this does not seem to be the case. This is according to the latest figures from Jonathan Myburgh, co-founder of Vibescout, a progression Web app that provides event listings and city guides but has also recently become a movie aggregator. According to Myburgh, since the launch of the aggregator in June, the platform has seen exceptional results. "The market response to movies has been better than expected. We are getting over 10 000 users to the movies section every week, and will hopefully hit the 20 000 mark within the next few weeks. At present, we are listing movies showing on 690 screens in 94 cinemas across the country," he says. The Media quotes Motheo Matsau, chief of marketing and sales for Ster-Kinekor Theatres, as stating the movie-going culture is still popular in SA and that compelling content delivered on various platforms with added benefits enhances consumers' cinema experience. Innovations such as IMAX (both 2D and 3D) make movies come alive to audiences, while offerings such as Cine Prestige - providing luxury, comfort and convenience ? appeal to viewers, he is quoted as saying. 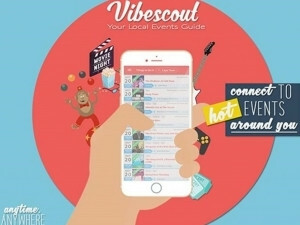 Vibescout was initially launched out of beta and started providing event listing in October 2016, and by April 2017, had reached over 100 000 users. Myburgh saw this as a growing need by socially active users, hence the birth of the movie aggregator. "If you look at other international markets, most of them will have a standalone 'movie aggregator' that gets millions of users monthly. These sites, like Fandango or AlloCine, help the consumer have a single point that groups together all the movie vendors to easily compare their different options, from price, location and types of movies showing and the various venues. "They also tend to get some great deals and promotions from the cinema houses that they can extend to the consumer. It took roughly six weeks to get a minimum viable product released and from it we have had amazing user feedback," explains Myburgh. The company at present is not seeing much profit but plans to introduce featured events which it will take commission on. "These operate in a similar way to Gumtree's top-ad-type model and provide experiences/activities that we will take a commission on. There will be a lot of experimenting over the next few months to test various revenue models." Myburgh adds the company aims to reach a million page-views by year-end.